3rd Annual UTech, Jamaica /Joan Duncan Memorial Lecture to Focus on “Monetizing Jamaica’s Music Success” — UTech, Ja. The Joan Duncan School of Entrepreneurship, Ethics and Leadership (JDSEEL), University of Technology, Jamaica (UTech, Jamaica) in collaboration with the Joan Duncan Foundation, the philanthropic arm of the JMMB Group, will host the 3rd Annual Joan Duncan Memorial Lecture on Wednesday, June 1, 2016 under the theme, “Mining Gold! How do we Monetize Jamaica’s Music Success?” The memorial lecture which honors the vision, mission and passion of the late corporate leader and JMMB co-founder, Joan Duncan will commence at 5:30 pm at the Technology Innovation Centre (TIC), UTech, Jamaica Papine campus. The main address will be delivered by noted Jamaican entertainment attorney and Music Business Consultant, Lloyd Stanbury and Josef Bogdanovich, CEO of Downsound Records, who will share their expert perspectives and personal experiences on the key issues that have affected the development and success of the Jamaican reggae/dancehall music industry locally and internationally. Hon. Olivia ‘Babsy’ Grange, CD, MP Minister of Culture, Gender, Entertainment and Sport will bring special remarks. Stanbury is hailed as a Caribbean pioneer in the field of entertainment law. His expertise and experience span a range of related activities in culture and the cultural industries including the practice of law, media management, artist management, music production, event promotion, research, creative industries policy development and lecturing. He has represented artists, music producers and corporations including: Chronixx, Protoje, Assassin aka Agent Asco, Robert Livingston, Super Cat, Half Pint, Freddie McGreggor, Steeley and Clevie, Queen Ifrica, Busy Signal, Arrows Recording and Garnet Silk. His impact on the international music scene began in 1990 with his role as co-founder and vice-chairman of the world’s first all-reggae radio station, IRIE FM. As a consultant he has provided music business training services in collaboration with entities, such as the Government of Jamaica, the Secretariat of the Caribbean Community (CARICOM), UNCTAD, UNESCO, the Organization of American States, and the World Intellectual Property Organization (WIPO). He has worked with departments of culture, artists and music associations in several countries in Africa, the Caribbean and Latin America. 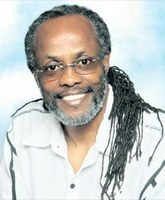 As a champion for structured development within Jamaica’s entertainment industry, he has been instrumental in the establishment of a number of music associations and copyright collection societies, including the songwriters agency, Jamaica Association of Composers Authors and Publishers (JACAP) and others. He is the author of the book, Reggae Roadblocks, A Music Business Development Perspective which examines the cultural and political environment that gave birth to, and has affected the development of Reggae music. Stanbury will share perspectives from his book during his lecture. Bogdanovich who recently acquired the Reggae Sumfest brand, plans to shape the Jamaican concert brand into an international driving force. 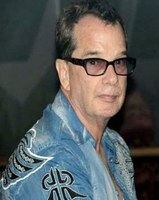 In addition to Reggae Sumfest, Bogdanovich has invested heavily in the hosting of reggae/dancehall concerts locally and overseas including Sting. His integrated entertainment business model sees him recording, distributing and promoting a number of successful reggae/dancehall acts such as Nature, Ishawna and Ninjaman. The lecture will be followed by a panel discussion led by music industry players - Michael Bennett, producer and Music/Cultural Director, FiWi Jamaica Project, UTech, Jamaica, Paul Barclay, Chairman, Jamaica Association of Composers and Publishers (JACAP) and K. Michael ‘Ibo’ Cooper, musician and Senior Lecturer, Edna Manley College of the Visual and Performing Arts and Mr. Robert Scott, Vice President, Export and Marketing, JAMPRO. The panel discussion will be moderated by Dr. Dennis Howard, musicologist. The panelists will discuss the theme from their various expert perspectives. Joan Duncan pioneered the money market business in Jamaica, co-founding the Jamaica Money Market Brokers Limited in 1992 with Dr. Noel Lyon. The company has become one of leading financial groups in the Caribbean boasting over 220,000 clients and J$1.73 billion in net profit. In 1994 JMMB was appointed as one of the first seven primary dealers for the Bank of Jamaica. One of Duncan's most notable achievements was being honoured posthumously in 2011 through the official renaming of the University’s School of Entrepreneurship - The Joan Duncan School of Entrepreneurship, Ethics and Leadership, (JDSEEL). The inability to convince the established financial houses to enter the money market, led Joan Duncan to brave all difficulties and enter the market through a joint venture with National Development Bank, Mutual Security Bank, Jamaica Producers Limited, Jamaica Venture Fund and Antrim Ltd. This tenacity and drive has been a legacy left by Joan Duncan who transitioned at the age of 58, to start a company where any Jamaican could walk in off the street, take a few hundred dollars out of his or her pocket and invest it. Her dream also encompassed the creation of a different kind of work place from the traditional organisations she had encountered in the Jamaican business world. Instead she built a company on the vision of love where employees would work in a fun-loving atmosphere with a commitment to innovation and creativity, integrity and responsibility and each member of the team has the opportunity to learn and grow. The JDSEEL, UTech, Jamaica is the first School of its kind in the English Speaking Caribbean to offer a specialized B.Sc. Degree in Entrepreneurship. The school officially started in February 2010 and graduated its first cohort in November 2014. It is also the first school of its kind in the English Speaking Caribbean to have an active business entrepreneurship incubator centre for start up businesses. Currently, the Technology Innovation Centre has over 30 clients under its umbrella and converts a 92% occupancy rate. Corporate Marketing and Special Projects Officer, Office of the President.